Text by by Katie Young Yamanaka. 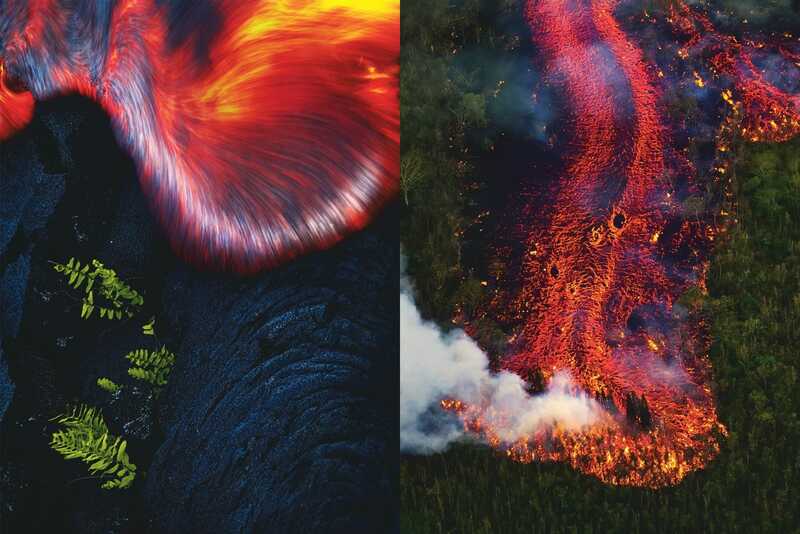 Photos by Bruce Omori. 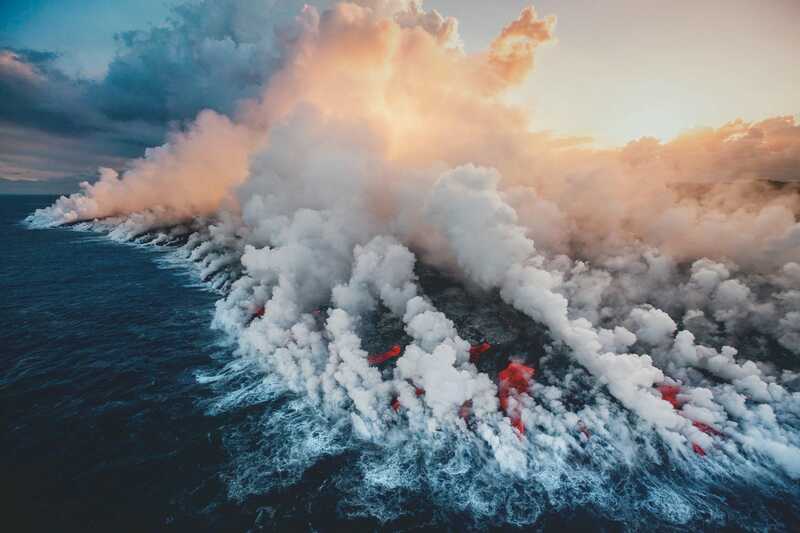 As morning broke in Kalapana in the summer of 2009, lava from Kīlauea poured into the sea, creating a cloud of acidic steam. Vortices (seen at left, beneath the steam column) began to form one after another, building from the ocean up. 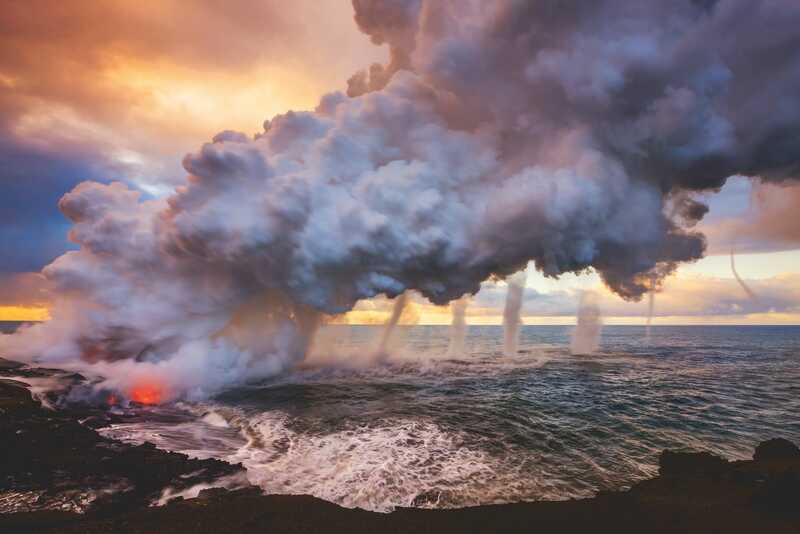 These columns of swirling air can occur whenever there’’s a large eruption. 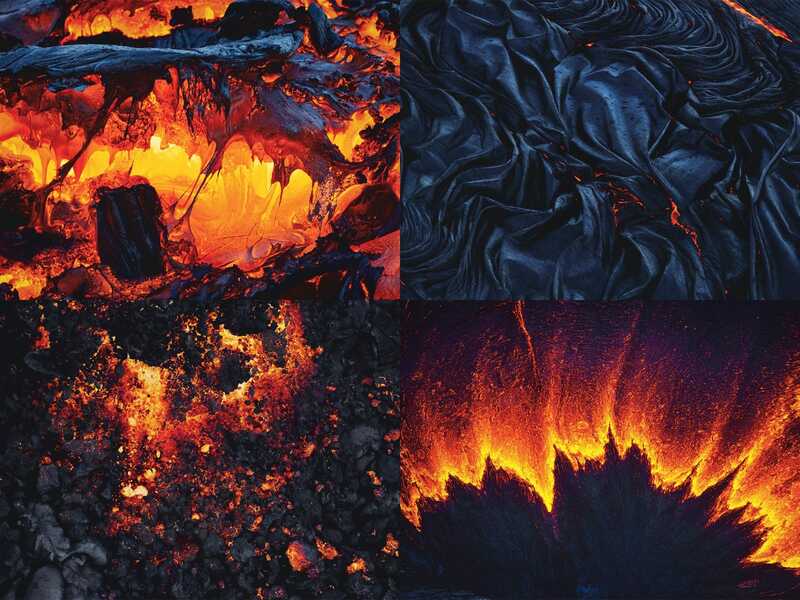 “Because volcanic activity involes such a great deal of heat, it tends to create its own weather, so to speak,” Omori says. “I’‘ve seen thunder and lightning storms above flowing fissures. 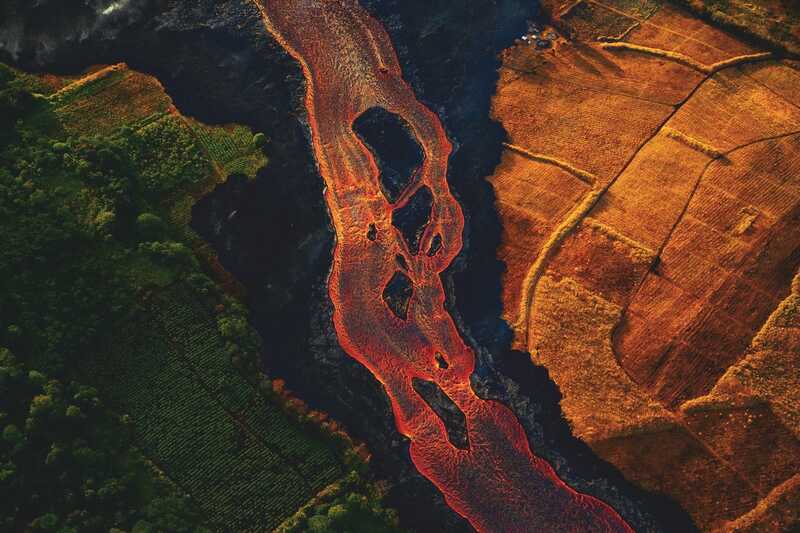 Vortices form above the Pu‘u ‘Ō‘ō cinder cone, over lava fields and at ocean entry points.” Vortices typically don’‘t last more than a few seconds, but on this day, Omori says, conditions were perfect. The vortices materialized slowly, one at a time, until six were spinning as the plume stretched out to sea.